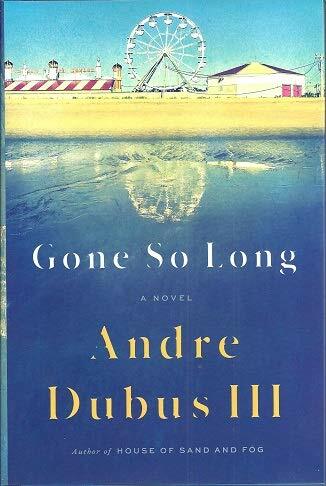 Andre Dubus III wrote one of our favorite novels of 2018. It had been ten years since he’d written a novel, and it was well worth the wait. (Appropriately, it was titled Gone So Long.) AD3 is one of our greatest living writers of fiction, and we hope we don’t have to wait another decade for his next book. But while you’re waiting, you might want to check out his picks, in which you just might be introduced to one or two talented writers whom you haven’t previously heard of. For more recommendations, see the Amazon Books Editors’ picks for the Best Books of the Year. I can think of few writers, alive or dead, who can make us laugh out loud in one sentence only to wipe the tears off our cheeks in the next. 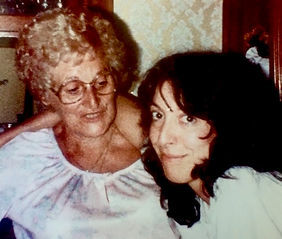 Marianne Leone achieved this so compellingly in her first book, Jesse: A Mother’s Story, and she does it again here, brilliantly, in this enduring love song to her Italian mother. Like Leone’s own roots in the blue collar neighborhood of “The Lake”, Ma Speaks Up is gritty yet tender, tough but vulnerable, wise and life-loving and irreverent, all in the light and shadow of our shared mortality. 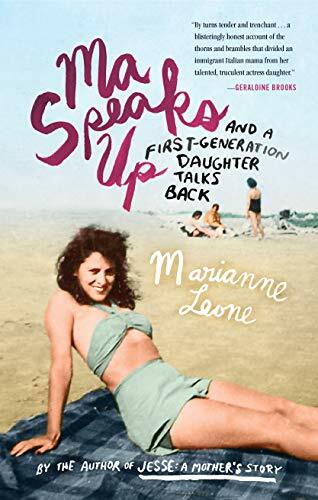 In exploring the life of her unforgettable mother, Marianne Leone illuminates themes as wide ranging as social class, immigrant life, the Catholic church, the agony of adolescence, marital and maternal and paternal love, and far more. And like all of the best memoirs, Ma Speaks Up carries us back to the fragmented and sometimes elusive beauty of our own lives. This is an exquisitely rendered book by an immensely gifted writer, and I cannot recommend it highly enough. It is a rare gift to us all when a writer’s talents and subject command equal attention, but that is just what we have here in J.M. 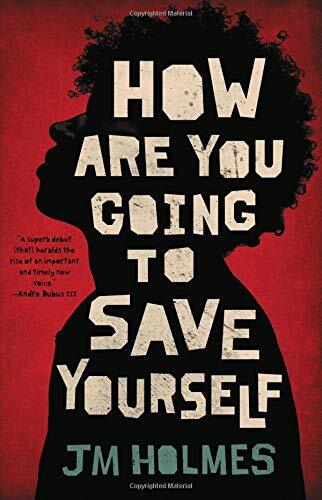 Holmes’s superb debut, How Are You Going to Save Yourself?Written with spare, colloquial, and deeply evocative prose, these linked stories capture the contemporary lives of young men trying to find their way in this world, young men who also happen to be black in a post-industrial, ever changing cultural landscape. These powerful stories herald the rise of an important and timely new voice among us, and I will now look for anything by J.M. Holmes. Every few years, if we’re lucky, there comes along that rare novel that feels dictated from the very pulse of the times in which we live, the one that pulls us in and won’t let go, and when we’re finished, we feel the urgent need to spread the news about it far and wide and right away. 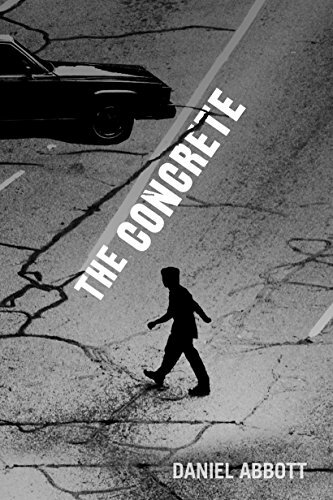 Daniel Abbot’s The Concrete is that novel. Written in a street-wise yet deeply compassionate voice, this mesmerizing narrative takes us into the lives of men, women, and children who are trying to survive any way they can, fighting the demons of addiction and violence along the way, taking part in the “flesh game”, trying to love and be loved and do the right thing, even when they sometimes don’t. This is a heartbreakingly beautiful novel, an honest work of art, and it heralds the debut of a remarkable and important young American novelist. My parents were immigrants from a tiny southern Italian mountain village where no one had ever heard of the American Thanksgiving holiday. 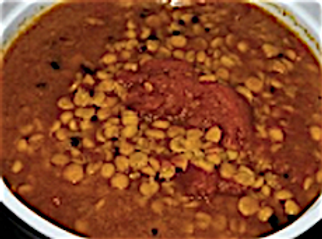 Anyone who had could surely relate to the idea of a big family dinner with special food. They had all kinds of festival dinners with specific foods for that particular celebration: La Vigilia, the feast of the seven fishes, for Christmas Eve; ricotta pie and homemade ravioli for Easter; pizzele and torrone at Christmas. So my parents got it, this idea of a traditional American menu. They just had no idea of what was a traditional American menu for Thanksgiving. In the late 1950s and early ’60s, Italian food had no superstar status among foodies, because foodies had not been invented. In that pre-Internet, pre-cellphone, three-networks-only era, what Americans knew of Italian food was pizza, Chef Boyardee canned ravioli, Franco-American canned spaghetti, and aerated tricolor spumoni. My Italian parents knew that they were now living in America and that they should celebrate Thanksgiving like every other American. And they did. They celebrated the holiday in a way that would make any artisanal food-craving locavore genuflect in tribute. The meal would begin with an antipasto of pungent black olives and delicate fennel dipped in extra virgin olive oil dotted with dried red peppers. Next would appear a sublime tortellini in brodo, the intense yellow broth made from fowl, not chicken, followed by hand-cut pasta in a light marinara sauce. Then a roasted capon, accompanied by broccoli d’rabe glistening with oil and garlic, along with roasted potatoes flecked with herbs. Red wine made by my father accompanied the meal, with figs and nuts as the grand finale, along with strong coffee and homemade anisette. As the years went by, my parents discovered they had been doing it all wrong. Maybe they saw somewhere the iconic Norman Rockwell painting of a family serving a bird twice the size of the puny un-American capon they roasted, or maybe something on television wised them up. Whatever the source, it finally dawned on them that capon was not the right bird for this celebration – a castrated rooster was not exactly a symbol their adopted country would relish. The main course of a real American Thanksgiving was supposed to be a Butterball turkey the size of a toddler, acquired not from Larry the local butcher, but from the supermarket, wrapped snugly in plastic with an additional plastic embedded thingie that popped up to tell you when the turkey was done. Roasted potatoes were replaced by lumpy mashed ones, with skimpy amounts of milk that my mother added cautiously to the mix, since she considered milk to be borderline poisonous, and equally stingy amounts of butter (not quite poisonous, but suspect). Already-prepared, already-flavored stuffing came from a cellophane bag, cranberry sauce was pried from a can, the ridges still showing on its quivering, alien-like form, and mushy canned peas doctored with mushrooms and onions replaced the broccoli d’rabe with garlic. There was also canned gravy, since my family didn’t have a clue how to make gravy from the turkey. When we sat down to this meal, we finally had an American Thanksgiving, even if no one actually liked the meal and we all ate mostly the pasta my parents refused to give up instead of the actual turkey and trimmings. We had a lot to be thankful for and we gave thanks for the bounty that was bestowed upon us in America then in that Camelot era, our aged grandfather the most fervently. An entire meal you could eat without teeth! Viva L’America! This year my husband and I are hosting Thanksgiving dinner and I sent up a trial balloon to the rest of the family for a retro menu re-creating my parents’ pre-Butterball one. 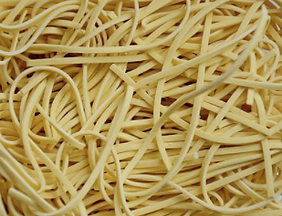 The pasta got no argument, but then it’s never been off-menu. And broccoli d’rabe was an easy concession. But the elders are all gone, save one aunt, and my younger brother and sister have only vague memories of the pre-American Thanksgiving. They and their non-Italian spouses and children demand the mashed potatoes and stuffing and gravy that they have always had on that day. Figs and nuts for dessert seem paltry to them, penitential even. The tortellini in brodo passed with a shrug, but I got outvoted on the bird: It will remain the big boring one. Anyway, I wouldn’t even know where to look for a castrated rooster these days.